It has been our privilege to help people solve their residential sewer system problems for the past few years. Professional sewer inspection are now offered on a year-round basis for homeowners and landlords who want to maintain and take good care of their properties. With a plumbing camera, we can locate the cause of the problem and be more efficient afterwards when we intervene, once we understand what is going on in your sewer system. You have to know that the main cause of malfunction is usually poor workmanship during construction but sewer lines fail occur years after that. Sewer-related issues are progressive problems that usually get worse year after year if nothing is done. Our state-of-the-art plumbing camera inspections will make sure everything is under control. It will allow us to see into inaccessible places to solve problems faster, saving time and money in the process. We work with several types of high-quality sewer cameras (also called snake camera or pipe camera) to make sure that we get the best images possible to assess the situation. Covering Hollywood Florida and surrounding cities and counties, the plumbers of Hollywood believe that sewer line camera are the missing link between a plumbing job well done and a professional plumbing technician with years of experience. Yes, a drain and sewer camera is man’s best friend after dog. Our sewer camera inspection team is available 24/7 365 days a year to find the source of all your sewer problems. Sewer line camera in hand, they will come directly to your house after you call us. Alternatively, you can also email us and we will reply back to you the same day. Just fill out the contact form on the top right of this page, you will have to answer a few questions to give us the background information necessary for a successful diagnosis. Using a drain camera or any type of camera snake is an excellent way to capture photos and videos but also they avoid digging out an area like it used to be the case in the past. Several reasons can cause a leak or a blockage of your pipes: tree root infiltration, crushed pipes, frozen pipes (not very likely in Florida but you never know) or simply a build-up of waste. A clog in your drain can result in severe damages or potential undesirable effects to your home, which is why sewer line inspection is the perfect answer. One of our senior plumbers was quoted saying “It shouldn’t be called sewer line inspection but sewer lifeline inspection, because any type of sewer problem can truly make your life a living hell!”. And he is right. 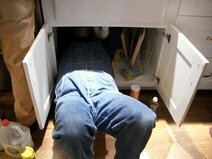 If you have any doubt about what is happening within your sewer or drain, don’t delay any longer and contact us. We’ll bring our famous sewer pipe camera and will come do our “snake plumbing” thing to determine if your fears are based on something concrete or not.